"Held my hand all the way through the process! Guided me through all of my "silly" questions and made themselves easily available!" "Amazing service with everything explained along the way"
"Great folks. Held my hand through buying my first home. Thanks you Sheri & Amanda." Refinancing or buying a home. You can trust the mortgage professionals at TrustMor Mortgage to find the best home loan program for you. TrustMor is locally owned and headquartered in Glen Allen (Richmond), Virginia. TrustMor is a full service independent mortgage banker and broker with access to mortgage products from a large base of investors. This means competitive products and rates. TrustMor Mortgage funds FHA, VA, Conventional, Jumbo, Fannie Mae and Freddie Mac Mortgage Financing at competitive rates. Before you even start home shopping, get prequalified by one of our mortgage professionals. You’ll have the clout of a cash buyer. You’ll know how much you can afford. And be well on your way to the mortgage program that’s right for you as soon as you make the offer! We’re a mortgage company with a strong and genuine belief in the “customer for life” principal of doing business. This is what fuels our company. We want TrustMor to be the first name you think of when thinking about a mortgage. Referrals from previous customers and local real estate professionals have always delivered the majority of the Company’s production of mortgages. TrustMor Mortgage Company was started by owners of a home building company, who found a shortage of mortgage lenders able to provide their customers with a broad range of financing options and exemplary service. Having experienced mortgage lending from the customer’s prospective, TrustMor’s founders spent an enormous amount of time building relationships with investors. These investor relationships secure a broad selection of loan programs and quick approval processes. TrustMor is a mortgage lender and a mortgage broker representing dozens of other lenders, including many household names in the banking and finance industries. TrustMor shops other lenders in the market to provide our customers competitive rates and unique products.  Our wholesale buying power translates to borrowers obtaining loan rates below those if they had gone directly to another lender. We use the most advanced technology available to close loans quickly, at a low cost. By combining the use of the Internet along with advanced mortgage processing software and automated mortgage underwriting systems we have taken the mystery out of approving and closing a home loan.